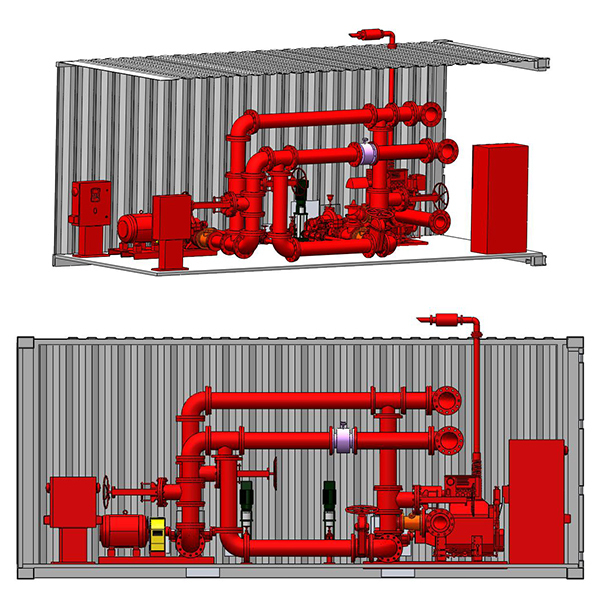 In this, firefighting pumps, jockey pumps, its controllers and all accessories are engineered inside the Container. All pipings are in accordance with customer requirements. All large equipment are accessible by doors around the container. Material handling arrangements are provided for easy unit movement.